Enjoy Dance, is a Ballroom, Latin and Shag Dance Instruction School with Studios in Greer and Simpsonville, South Carolina. We offer private and group dance instruction for people wanting to learn the amazing art of dancing, and experience the joy, social aspect, and benefits of dancing! Don’t give in to the thought that you have two left feet—we make dancing simple. 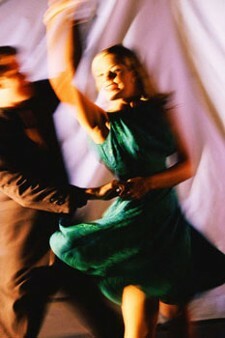 Glide across the floor and learn the art of ballroom dancing from our experienced instructors. Choose from Private or Group dance lessons. We also offer Wedding Dance Lessons to show off your moves on that special day. In addition to Dance Instruction, Enjoy Dance offers dance parties, dance performance opportunities, Dance Cruises, travel opportunities and other dance activities. Thinking of Learning to Dance? Why? you have always wanted to learn to dance and you secretly know that you can!...Yes? Well then, be Brave, be Bold and Enjoy Dance! Contact Enjoy Dance at 864.414.8851 or enjoydancebob@aol.com for more information on how to sign up for dance lessons at our Greer or Simpsonville, South Carolina location.